IN AN EARLIER CHAPTER it was stated that in a certain sense time consumes space, and that it does so in consequence of the power of contraction contained in it, which tends continuously to reduce the spatial expansion to which it is opposed: but time, in its active opposition to the antagonistic principle, unfolds itself with evergrowing speed, for it is far from being homogenous, as people who consider it solely from a quantitative point of view imagine, but on the contrary it is `qualified’ at every moment in a different way by the cyclical conditions of the manifestation to which it belongs. The acceleration of time is becoming more apparent than ever in our day, because it becomes exaggerated in the final periods of a cycle, but it nevertheless actually goes on constantly from the beginning of the cycle to the end: it can therefore be said not only that time compresses space, but also that time is itself subject to a progressive contraction, appearing in the proportionate shortening of the four Yugas, with all that this implies, not excepting the corresponding diminution in the length of human life. It is sometimes said, doubtless without any understanding of the real reason, that today men live faster than in the past, and this is literally true; the haste with which the moderns characteristically approach everything they do being ultimately only a consequence of the confused impressions they experience. If carried to its extreme limit the contraction of time would in the end reduce it to a single instant, and then duration would really have ceased to exist, for it is evident that there can no longer be any succession within the instant. (1) Nevertheless, since Yama is designated in Hindu tradition as the ‘first death”, and is assimilated to `Death’ itself (Mrtyu), or, if the language of the Islamic tradi-tion is preferred, to the ‘Angel of Death, it will be seen that in this as in so many other cases the ‘first’ and the ‘last’ meet and become more or less identified through the correspondente between the two extremities of the cycle. (2)Wagner wrote in Parsifal: ‘Here, time is changed into space,’ the place referred to being Montsalvat, which represents the ‘center of the world’ (this point will be returned to shortly); there is however little likelihood that he really under-stood the profound meaning of the words, for he scarcely seems to deserve the reputation of being an ‘esoterist’ attributed to him by some people; everything really esoteric found in his works properly belongs to the legends’ used by him, the meaning of which he all too often merely diminished. Thus a ‘reversal’ takes place at the last, to the disadvantage of time and to the advantage of space: at the very moment when time seemed on the point of finally devouring space, space in its turn absorbs time; and this, in terms of the cosmological meaning of the Biblical symbolism, can be said to be the final revenge of Abel on Cain. There is a sort of `prefiguration’ of the absorption of time by space, of which its authors are no doubt quite unconscious, in the recent physico-mathematical theories that treat the ‘space-time’ complex as a single and indivisible whole, these theories incidentally usually being interpreted inaccurately, when they are regarded as treating time as if it were a `fourth dimension’ of space. 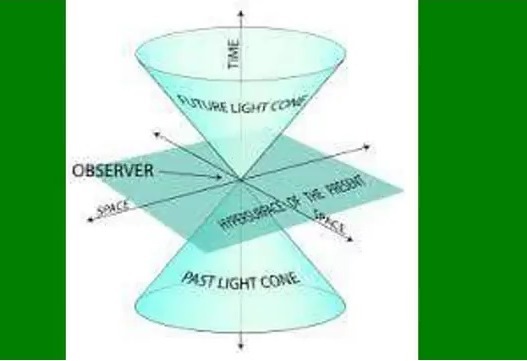 It would be more correct to say that time is treated as being comparable to a `fourth dimension’ only in the sense that in equations of movement it plays the part of a fourth coordinate added to the three representing the three dimensions of space; and it is important to note that this implies the geometrical representation of time in a rectilinear form, the insufficiency of which has previously been pointed out, though it could not be otherwise in theories so purely quantitative in character as those in question. (3) In other words, if the three coordinates of space are x, y, and z, the fourth coordinate is not t, which designates time, but the expression t √-1. (4) It is of interest to note that, although the ‘end of the world’ is commonly spoken of as the ‘end of time’, it is never spoken of as the ‘end of space’; this observation might seem insignificant to those who only see things superficially, nonetheless it is actually very significant. The condusion may be drawn that it is quite useless to look for anything that might be a ‘fourth dimension’ of space under the conditions of the present world, and this has at least the advantage that it cuts short all the ‘neo-spiritualist’ divagations briefly referred to earlier; but is it necessary also to conclude that the absorption of time by space must necessarily take the form of the addition of a supplementary dimension to space, or is that too only a ‘figure of speech’? All that it is possible to say about this is that when the expansive tendency of space is no longer opposed and restrained by the compressive tendency of time, then space must naturally, in one way or another, undergo a dilatation such as will raise its indefinity to a higher power;(5) but it should scarcely be necessary to add that this occurrence cannot be represented by any image borrowed from the corporeal domain. (5)On the successive powers of the indefinite, see The Symbolism of the Cross, chap. 12. Indeed, since time is one of the determining conditions of corporeal existence, it is evident that its suppression is by itself sufficient to cause everything to be taken right out of the world; the being is then in what has been called elsewhere an extra-corporeal ‘prolongation’ of the same individual state of existence as that of which the corporeal world represents but a mere modality: this also serves to indicate that the end of the corporeal world is by no means the end of the said state of existence considered in its integrality. Furthermore, the end of a cycle such as that of the present humanity is really only the end of the corporeal world itself in quite a relative sense, and only in relation to the possibilities that have been included in the cycle and so have completed their development in corporeal mode; but in reality the corporeal world is not annihilated, but `transmuted’, and it immediately receives a new existence, because, beyond the ‘stopping-point’ corresponding to the unique instant at which time is no more, ‘the wheel begins to turn again for the accomplishment of another cycle. Another important consequence arising from these considerations is that the end of the cycle as well as its beginning is ‘intemporal’, and this is necessarily so because of the strict analogical correspondence existing between the two extreme points; thus it comes about that the end is in fact the restoration of the `primordial state for the humanity of the cycle in question’, and this also makes clear the symbolical relation of the `Heavenly Jerusalem’ to the ‘Terrestrial Paradise’. 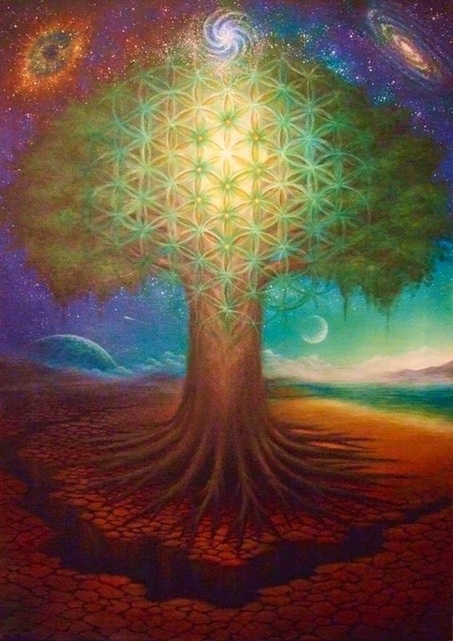 It is also a return to the return to the ‘center of the world’, the exterior manifestation of the center taking the forms, at either end of the cycle, of the `Terrestrial Paradise’ and the “eavenly Jerusalem’ respectively, with the `axial’ tree growing in the middle of both the one and the other. 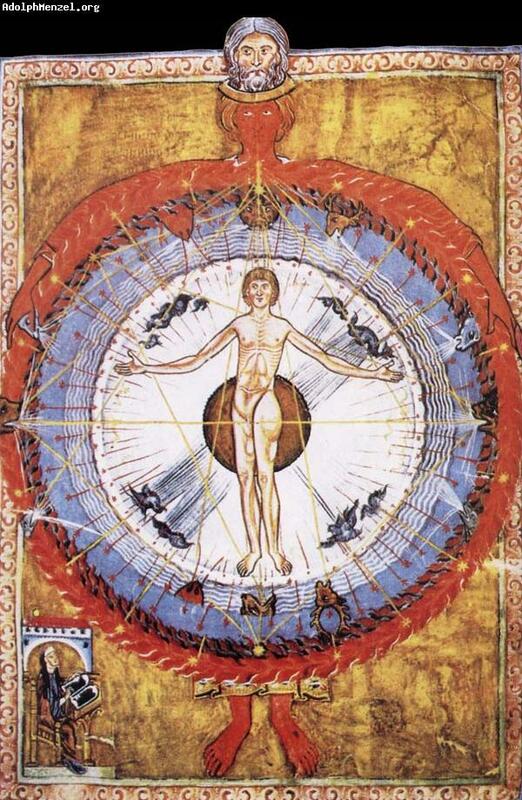 During the whole interval between the two, that is, during the course of the cycle, the center is however hidden, becoming indeed more and more so, because humanity has moved gradually away from it, and this is fundamentally the real meaning of the ‘fall’. 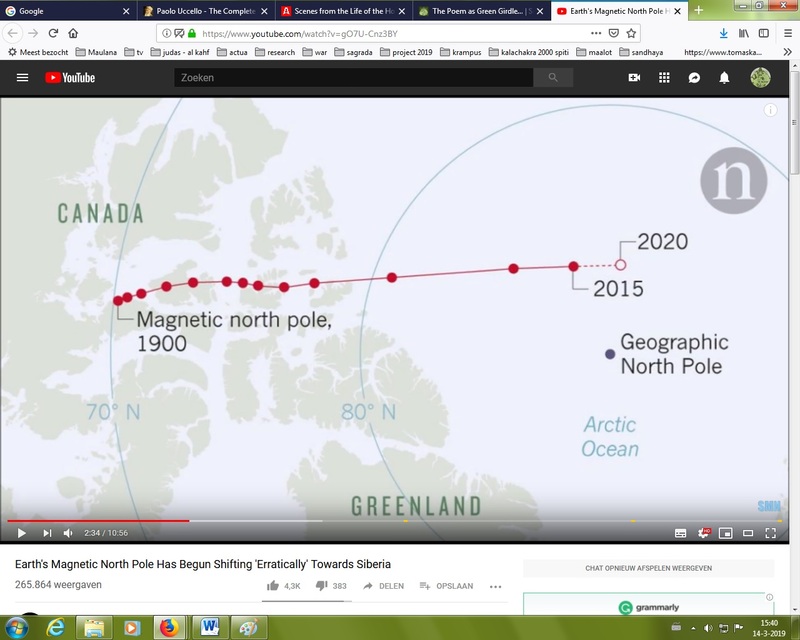 (6)Another significance of the “Inversion of the poles‘ can be deduced from this, since the course of the manifested world toward its substantial pole ends at last in a ‘reversal’, which brings it back, by an instantaneous transmutation, to its essential pole; and it may be added that, in view of this instantaneity, and contrary to certain erroneous conceptions of the cyclical movement, there can be no `reascent’ of an exterior order following the `descent’, the course of manifestation as such being always descending from the beginning to the end. The Pardes, inasmuch as it is the ‘center of the world’, is, according to the primary meaning of its Sanskrit equivalent paradesha, the `supreme region’, but it is also, according to a secondary meaning of the same word, the `distant region‘, ever since it has become, in the course of cyclical development, actually inaccessible to ordinary humanity. It is in fact, at least apparently, the most distant of all things, being situated at the ‘end of the world’ both in the spatial sense (the summit of the mountain of the `Terrestrial Paradise’ touching the lunar sphere) and in the temporal sense (the summit of the mountain of the ‘Heavenly Jerusalem’ descending to the earth at the end of the cycle; nevertheless, it is always in reality the nearest of all things, since it has never ceased to be at the center of all things,(7) and this brings out the inversion of relationship between the `exterior’ and interior’ points of view. (7)This is the Regnum Dei intra vos est of the Gospel. Only, in order that this proximity may be actually realized, the temporal condition must necessarily be suppressed, because it is the unfolding of time in conformity with the laws of manifestation that has brought about the apparent separation from the center, and also because time, according to the very definition of succession, cannot turn back on its course; release from the temporal condition is always possible for certain beings in particular, but as far as humanity (or more exactly a humanity) taken in its entirety is concerned, a release from time obviously implies that the said humanity has passed completely through the cycle of its corporeel manifestation: only then can it, together with the whole of the terrestrial environment that depends on it and participates in the same cyclic movement, be really reintegrated into the `primordial state’, or, what is the same thing, into the ‘center of the world’. (8)On the `seat of immortality’ and What corresponds to it in the human being, see The King of the World. (9)On the symbolism of the `third eye’, see Man and His Betoming according to the Vedanta and The King of the World. HAVING GIVEN SOME ATTENTION to the end of the cycle, it is now necessary as it were to turn back again, in order to examine more fully the causes that can, under the conditions of the present period, play an effective part in leading humanity and the world toward that end. Two contributing tendencies may be distinguished, and their description involves the use of terms suggesting an apparent antinomy: on one side is the tendency toward what has been called the ‘solidification’ of the world, and it is this that has been mainly considered so far, and on the other side is the tendency toward the dissolution of the world, and it remains to examine in detail the action of the latter, for it must not be forgotten that every such end necessarily takes one form and one only, that of a dissolution of the manifested as such. Let it be said at once that the second of the two tendencies now seems to be beginning to predominate; for, in the first place, materialism properly so called, corresponding as it clearly does to `solidification‘ in its grossest form (the word `petrifaction’ could almost be used, by analogy with what minerals represent in this connection), has already lost much ground, at least in the domain of scientific and philosophical theory, if not yet in that of the common mentality; and this is so far true that, as pointed out earlier, the very notion of ‘matter’ as it existed in these theories has begun to fade away and to dissolve. In the second place, and correlatively to this change, the illusion of security that held sway at the time when materialism had attained its greatest influence, and that was then more or less inseparable from the prevailing idea of `ordinary life’, has in the main been dissipated by the events that have taken place and the speed of their succession, so much so that the dominant impression today is very different, for it has become an impression of instability extending to all domains. Since ‘solidity’ necessarily implies stability, this again shows clearly that the point of greatest effective `solidity’ within the possibilities of our world has not only been reached, but has also already been passed, and consequently that dissolution is the goal toward which the world will be traveling henceforth. The acceleration of time itself, as it becomes ever more pronounced and causes changes to be ever more rapid, seems to lead of its own accord toward dissolution, but it cannot for that reason be said that the general direction of events has been modified, for the cyclical movement inevitably continues to follow the same descending course. Moreover, the physical theories just referred to, while they too change with growing rapidity like everything else, continue nonetheless to take on a more and more exclusively quantitative character, to such a point that their character has now become assimilated to that of purely mathematical theories, and this change, as previously indicated, takes them yet further away from the sensible reality that they claim to explain, and leads them into a domain that is necessarily situated on a lower plane than that of sensible reality, as was explained earlier when pure quantity was under consideration. In any case, the ‘solid’, even at its greatest conceivable density and impenetrability, by no means corresponds to pure quantity, having always at least a minimum of qualitative elements; it is moreover corporeal by definition, and is even in a sense the most corporeal thing possible; now `corporeality’ is by definition such that space, however ‘compressed’ it may be under the conditions appertaining to a ‘solid’, is necessarily inherent in its constitution, and space, let it be recalled again, can in no way be assimilated to pure quantity. 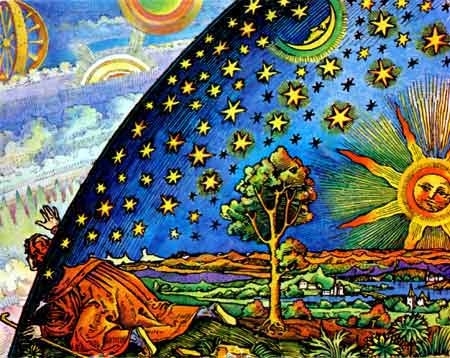 Even if the point of view of modern science were to be adopted momentarily, so that on the one hand ‘corporeality’ could be reduced to extension in accordance with Descartes’ ideas, and on the other hand space could be regarded as nothing but a mere mode of quantity, the difficulty still remaining would be that everything would be still be in the domain of continuous quantity; a change to the domain of discontinuous quantity, that is, of number, which alone can be looked upon as representing pure quantity, must then obviously imply, by reason of the said discontinuity alone, that neither the `solid’, nor anything else that is corporeal, can subsequently be taken into account. A point is therefore reached in the gradual reduction of everything to the quantitative at which this reduction no longer leads toward `solidification’, and at this point there arises a desire to assimilate continuous quantity to discontinuous quantity. (1) Solvet saeclum in favilla are the exact words of the Catholic liturgy, which incidentally calls upon both the testimony of David and that of the Sibyl in this matter, and this in itself is one of the ways in which the unanimous agreement of the different traditions is confirmed. Nevertheless, although dissolution can be envisaged in this way from a certain point of view, it also appears from another point of view, and in accordance with a mode of expression made use of earlier, as a `volatilization’. `Pulverization’, however complete it may be imagined to be, always leaves ‘residues’, even though they may be really impalpable; but as against this, the end of the cycle, if it is to be fully accomplished, implies that everything that is comprised in the cycle disappears completely insofar as it was manifested; these two different conceptions however each represent a part of the truth. Indeed, the positive results of cyclical manifestation are `crystallized’ in order that they may then be `transmuted’ into the germs of the possibilities of the future cycle, and this constitutes the end-point of `solidification’ under its `benefit’ aspect (implying essentially the ‘sublimation’ that coincides with the final `reversal’, whereas whatever cannot be used in this way, that is to say, broadly speaking, whatever constitutes the purely negative results of the particular manifestation, is `precipitated’ in the form of a caput mortuum in the alchemist’s sense of the word, into the most inferior `prolongations’ of our state of existence, or into that part of the subtle domain that can properly be qualified as ‘infra-corporeal’;(2) but in either case a passage has taken place into extra-corporeal modalities, respectively superior and inferior, in such a way that it can be said that corporeal manifestation itself, so far as the particular cycle is concerned, has really disappeared completely or has been `volatilized’. (2)This is what the Hebrew Kabbalah, as was pointed out earlier, calls the ‘world of rinds’ (Oilam qlippoth); into this the ‘ancient kings of Edom’ fall, inasmuch as they represent the unusable residues of past Manvantaras. (3)It should be evident that the two sides here referred to as ‘benefic’ and ‘malefic’ correspond exactly to the ‘right’ and `lelt’ sides on which the ‘elect’ and the damned respectively are drawn up in the ‘Last Judgment’; which is nothing other than the final `discrimination’ of the results of cyclical manifestation. At this point, the following question must be put: in order that dissolution may be fully realized, is it sufficient that the movement by which the ‘reign of quantity’ asserts itself with evergrowing intensity should be more or less left to itself, and be allowed to pursue its own course right up to its final goal? The truth is that such a possibility, which has indeed already been suggested in what has been said about the contemporary conceptions of the physicists and the implications they carry as it were unconsciously (for it is obvious that modern `scientists’ have no idea where they are going), belongs rather to a theoretical outlook on the situation, a ‘unilateral’ outlook affording only a very partial view of what must really happen. Actually, in order to undo the ‘knots’ resulting from the ‘solidification’ that has been going on up till now (and the word ‘knots’ is used intentionally, as it suggests the effects of a certain kind of ‘coagulation’ particularly connected with the realm of magic) the intervention of something more directly effective for the purpose in view is required, and this something must no longer belong to the domain, the very restricted domain, to which the ‘reign of quantity’ itself properly belongs. It is easy to perceive, from the occasional indications already given, that the action of influences of the subtle order is involved; such action really began long ago to operate in the modern world, although at first it did so in no very apparent manner, and it has actually always co-existed with materialism from the very moment at which the latter was first constituted in a clearly defined form, as was indicated earlier when dealing with magnetism and spiritualism, and the borrowings they have made from the scientific ‘mythology’ of the period in which they came to birth. As has also been pointed out before, though it be true that the hold of materialism is slackening, there is no occasion to rejoice at the fact, for cyclical manifestation is not yet complete, and the ‘fissures’ then alluded to, the nature of which will shortly receive further consideration, can only be produced from below; in other words, that which `interferes’ with the sensible world through those ‘fissures’ can be nothing but an inferior `cosmic psychism’ in its most destructive and disorganizing forms, and it is moreover clear that influences of this kind are the only ones that are really suited for action having dissolution as its objective. It is not difficult to see that thenceforth everything that tends to favor and to extend these ‘interferences’ merely corresponds, whether consciously or otherwise, to a fresh phase of the deviation of which materialism in reality represented a less ‘advanced’ stage, even though the outward appearances of things may not seem to support this view, appearances often being highly deceptive. While on this subject it seems desirable to point out that ill-informed `traditionalists'(4- The word `traditionalism’ denotes only a tendency that may be more or less vague and often wrongly applied, becau se it does not imply any effective knowledge of traditional truths; this matter will again be referred to later-) thoughtlessly rejoice at seeing modern science in its various branches escaping to some extent from the narrow limits within which its conceptions have been enclosed up til now, and taking an attitude less grossly materialistic than that maintained in the last century; they are even ready to suppose that in some way or another profane science will in the end be reunited with traditional science (of which their knowledge is minimal in extent and singularly inaccurate, being chiefly based on modern deformations and `counterfeits’), but this, for reasons of principle that have often been insisted on, is quite impossible. These same `traditionalists’ also rejoice, perhaps even more unreservedly, at seeing certain manifestations of subtle influences coming more and more into the open, but it does not occur to them to wonder what in the end may prove to be the true `quality’ of these influences (perhaps they do not even suspect that there is any occasion to ask such a question); and they base great hopes on what today is called `metapsychics’ as the key to the cure of the ills of the modern world, which they are usually content to attribute exclusively to material-ism as such, this again being a rather unfortunate delusion. What they do not see (and in this they are much more influenced than they think by the modern spirit with all the insufficienties inherent in it) is that they are really faced with a fresh stage in the development, perfectly logical but of a logic truly ‘diabolical’, of the ‘plan’ according to which the progressive deviation of the modern world is brought about. In this ‘plan’ materialism has of course played its part, and undeniably a highly important part, but the mere negation that it represents has now become inadequate. It has given efficient service in denying to man access to possibilities of a superior order, but it has not the power to unchain the inferior forces that alone can bring to finality the work of disorder and dissolution. The materialistic attitude, because of its inherent limitations, involves risks that are similarly limited; its ‘thickness’, figuratively speaking, protects anyone who persists in holding to it from all subtle influences without distinction, and confers on him a sort of immunity more or less like that of a mollusc living firmly enclosed in its shell, the materialist deriving from this immunity the impression of security previously referred to. The shell may be taken to represent the aggregate of conventionally recognized scientific conceptions and of the corresponding mental habits, together with the ‘hardening’ of the `psycho-physiological’ constitution of the individual which they produce,(5) and if an opening is made in this shell from below, as described earlier the destructive subtle influences will at once make their way in, and they will do so all the more easily because, thanks to the negative work accomplished in the preceding phase, no element of a superior order will be able to intervene in such a way as to counteract them. (5)It is of interest to note that the expression ‘hardened materialist’ is freely used in current speech, doubtless without any suspicion that it is no mere figure of speech, but actually corresponds to something very real. but what advantage can this perception bring, if its sole result is an immediate fall into another delusion, worse and more dangerous from every point of view, because it involves consequences much more extensive and more profound? This other delusion is that of an ‘Inverted spirituality’, and the various `neo-spiritualist’ movements that have arisen and reached a certain development in our times, not excepting those which already show a more definitely `subversive’ character, still represent no more than a weak and tentative prelude to it.